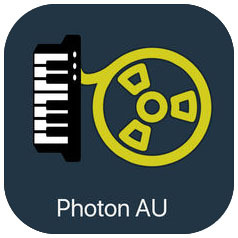 Photon AU – Midi Recorder with Pad playback & Groove. 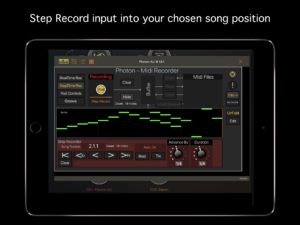 Record your midi performances using this audio unit in your DAW then save/export them as standard midi files via email or directly to other apps. Load midi files using Airdrop (uses the standalone version) & select your track to import in the AU version. 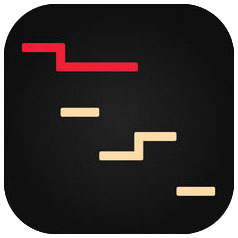 PolyPhase is a generative sequencer. 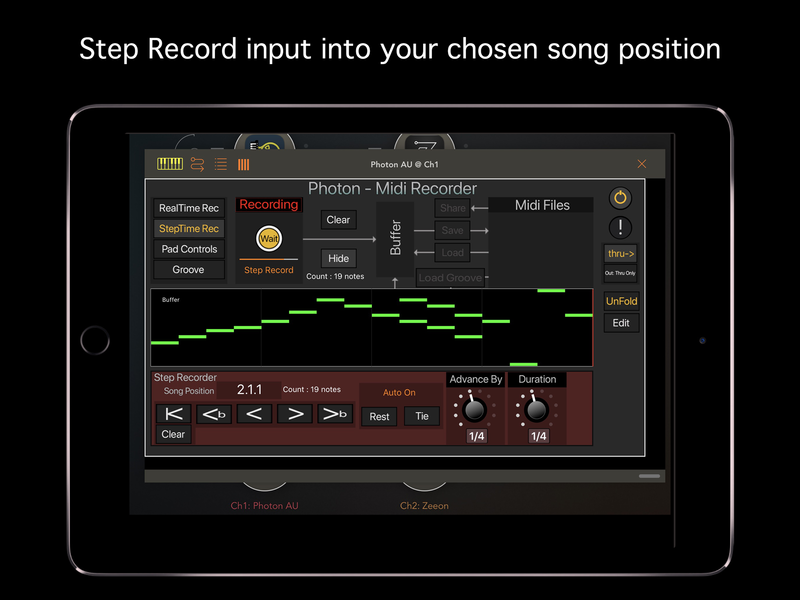 Melodies on a Master Track are created on the fly & copied, with phase offsets, to Slave Tracks. This structure, along with the interplay of various probabilities, leads to unique melodies and rhythms. 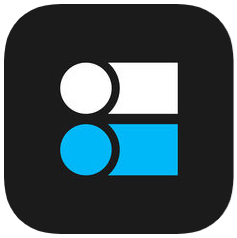 Sequence external hardware, other iOS synths, or use the included Wavetable Synthesizer! 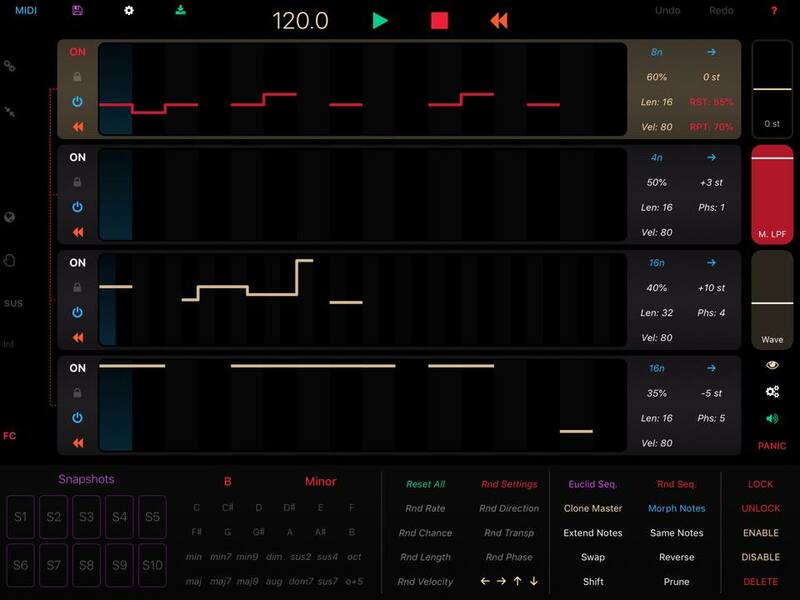 APHELIAN features a new kind of sequencer, based on a geometrical metaphor. 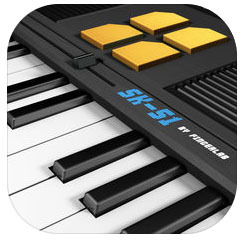 The interface is composed of 4 independent instruments, distributed in the corners. Each instrument has a SHAPE that function as a TIMELINE. 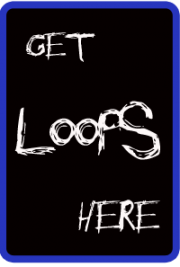 The user can DRAW EVENTS in the TIMELINE to create melodies. The SHAPES are located over a NOTE MAP that defines the NOTE of each EVENT. The SHAPES can be easily transformed using gestures that take full advantage of the touch screen. Any transformation in the SHAPE results in a predictable modification in the musical composition. 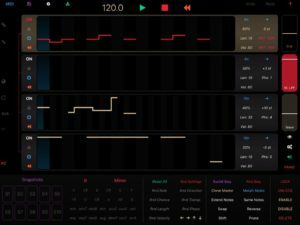 APHELIAN offers an amazing balance between joyful exploration and accurate detail control, proposing an organic way to compose music. 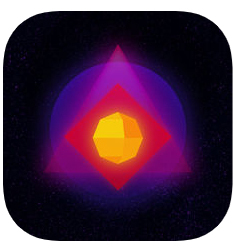 Inspired by Johannes Kepler’s geometrical model of the solar system, where the planets play melodies as they orbit the sun assembling a cosmic symphony.